What two countries are these, as photographed at night by satellite? Which has the lower carbon footprint? Which would you rather live in? Which would their own people rather live in? 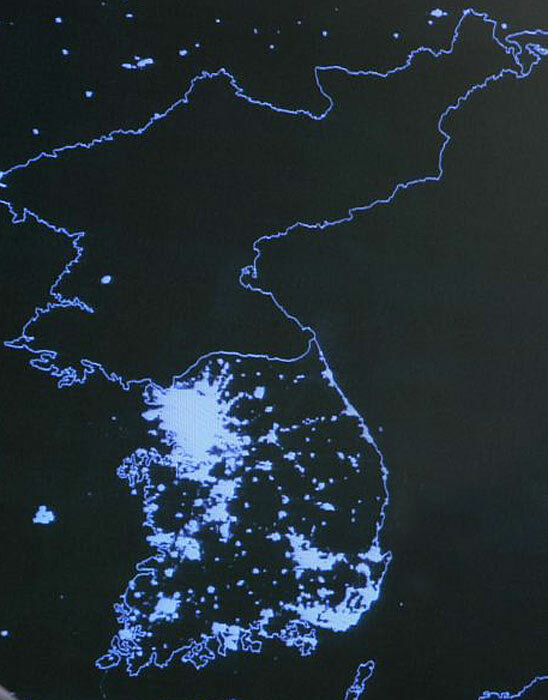 while environmentally conscious people around the world were turning off the lights for an hour on March 29th in recognition of Earth Hour, North Korea has turned the lights out for decades. Apparently, they’re doing it to reduce their carbon footprint. How noble. So, while First Worlders were celebrating Earth Hour, North Koreans get to celebrate Earth Decades. Anyone up for returning to what Boudreaux calls the Dark Ages?